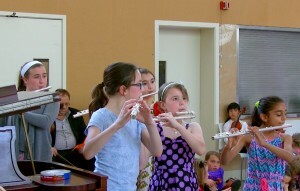 Natalie Coots began her Suzuki journey at age 7, under the loving instruction of Nancy Fennessy in Manlius, NY. Having been raised in a beautiful Suzuki community, Natalie decided early on that she wanted to become a Suzuki teacher. 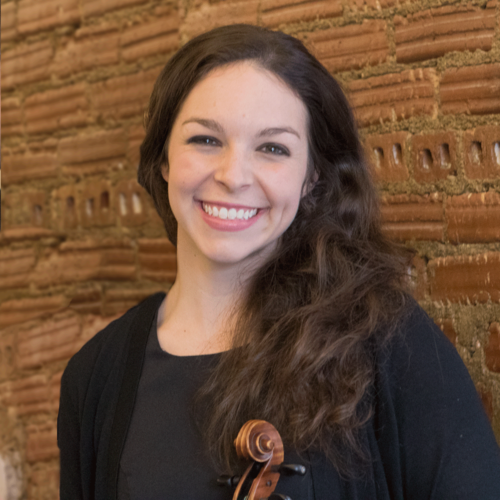 After 11 years of learning with Nancy, Natalie attended Ithaca College where she pursued a double Bachelor’s Degree of music education and violin performance, and continued on to her Master’s Degree at IC in Suzuki Pedagogy under the mentorship of Sanford Reuning and Carrie Reuning- Hummel. While studying at IC, Natalie sat concertmaster of the Symphony and Chamber orchestras from her junior year through her graduate degree. She was also awarded the opportunity to play the third movement of the Saint- Saëns Violin Concerto alongside the Ithaca College Symphony Orchestra at the annual commencement eve concert in 2012. Natalie additionally served as a teaching assistant at Ithaca College. Natalie has taken the Suzuki Principles in Action and Practicum courses in addition to teacher training in all 10 Suzuki violin volumes. Her teacher trainers include Tom Wermuth, Ed Kreitman, Nancy Lokken, Kimberly Meier- Simms, Susan Baer, Sanford Reuning, and Carrie Reuning- Hummel. In 2013, Natalie joined the faculty of Ithaca Talent Education in Ithaca, NY, teaching both violin and viola until she and her family relocated to Connecticut in 2018. Natalie became the co-director of the Ithaca Suzuki Institute in 2017, along with Carrie Reuning- Hummel, at the very institute that she attended as a student. She has had the opportunity to teach in workshops at Hartt, Fort Lauderdale, and in New Zealand, and loves to teach in workshop and institute settings. Natalie joined the Greenwich Suzuki Academy in 2018, and hopes to share the incomparable community, mentorship, friendship and musicianship that she received from her Suzuki upbringing with as many students and families as she can.